As I was making roast beef for a post for Char-Broil, I was trying to think of something to do alongside that. 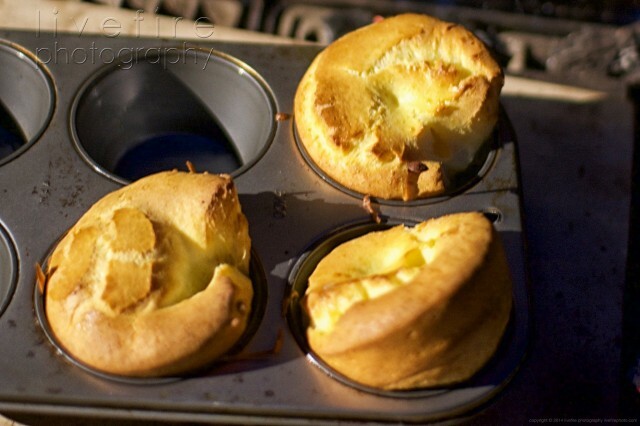 I realized I was doing a form of an English recipe I’d seen on the roast beef, so I went right to what I think of as a traditional beef side dish for the British, Yorkshire pudding! 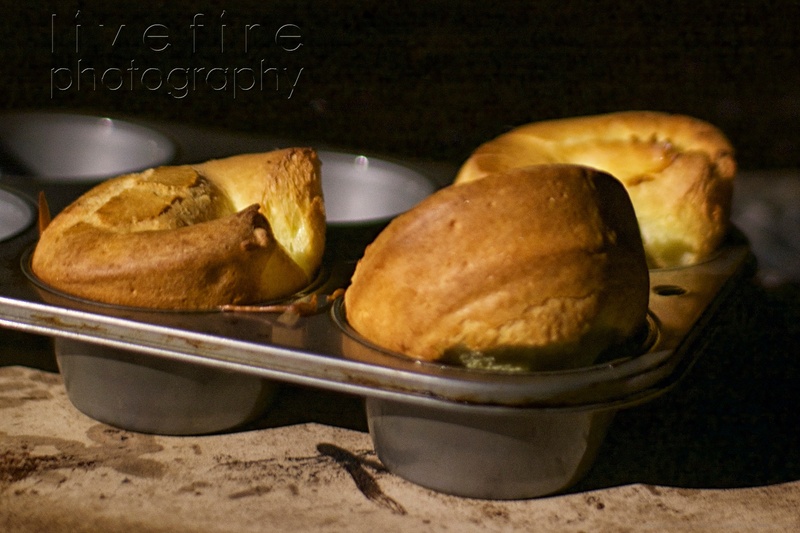 Yorkshire pudding throws a lot of Americans, it seems. We all think of pudding as a creamy, dairy-laden concoction that typically comes out of a box and is simple to make. I’m thankful my mom used to make pudding from scratch, so I know there’s more to it than that, but chocolate and tapioca are my favorites, especially if homemade. Pudding to the British is something else entirely. I’ve read lots of things saying different things about pudding; one theme is that is includes drippings of leftover from things. Blood pudding, for instance, Yorkshire pudding seems to be something of an egg pasty that uses leftover drippings, particularly beef, with an egg batter. Since I was marinating the roast I was doing, I didn’t include drippings, though, now, I wish I had. I definitely will the next time I make it! It was good, nevertheless, but I want to try it the more traditional way. All that’s in the pudding is milk, egg, flour, salt and pepper… plus a touch of bourbon for mine. It all gets blended together (I used a hand mixer), then poured into a container and baked. I can see how this would just be added to a roasting pan after a hunk of beef is cooked to use up the drippings. 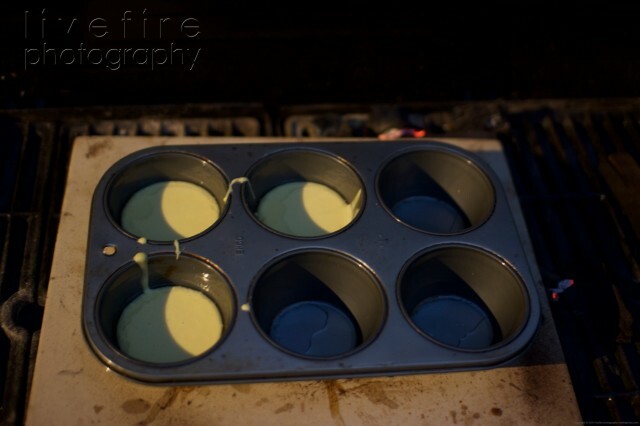 I used a muffin pan, and added a bit of oil to each compartment (next time, I’ll use drippings for that, too). The pan went on the already-hot grill (about 425F) for a few minutes to heat up, then I poured the batter right into the compartments. Since I used a tin for large muffins, it took about 22 minutes until the puddings baked to a nice brown, rising up out of the tin compartments. The puddings are fairly light, with a nice eggy texture and egg-batter flavor. The bourbon wasn’t too strong, but nicely there. I will have to try these again… I think I’ll try a tin for smaller muffins, and I’ll definitely incorporate the drippings, and maybe a tough of rye whiskey! 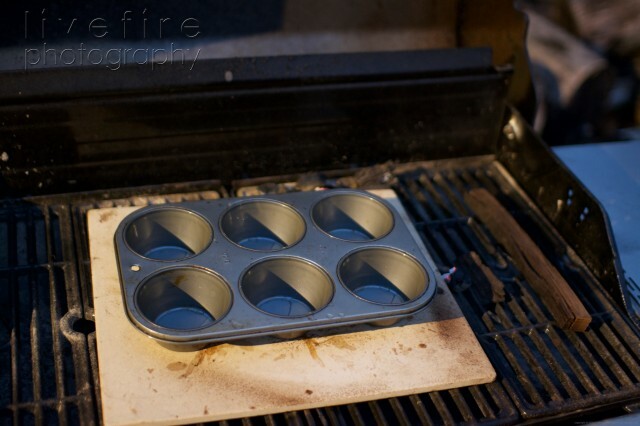 Heat a muffin tin with a bit of the oil in each compartment being used (this makes 3 large compartments' worth; a smaller tine might be 6) on a hot grill at 425F. Pour the batter about half way up the sides of each compartment and close the lid quickly to allow the puddings time to bake. Check after about 15 minutes, quickly, and adjust time to allow he puddings to brown nicely.